Metallic printing on umbrellas is absolutely possible. We use a variety of inks and print effects for the reproduction of metallic logos and detailed metallic print on our umbrellas. We don’t use gold coloured ink we use real gold! Our gold and silver inks contain tiny quantities of the base material, making the print iridescent. 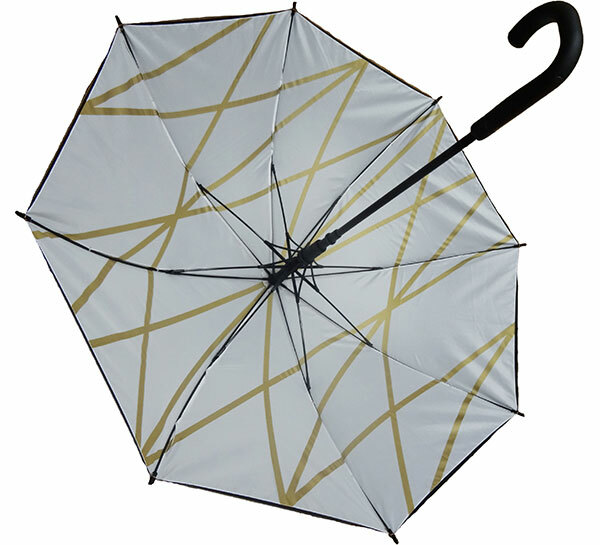 We can also match this in with gold material for perimeter tape or inner panels as can be seen on the Mandarin Oriental luxury hotel umbrellas in the image.